He moves as silently and invisibly as the wind, and strikes with the brute force of a hundred men. 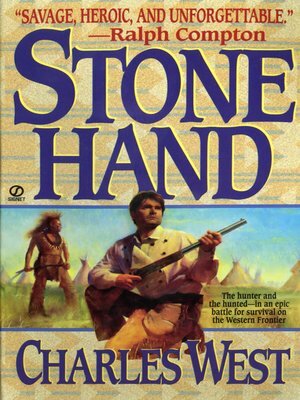 He is called Stone Hand, a legendary Cheyenne renegade whose very name instills terror in natives and white men alike. Now, as his bloodthirsty rampage reaches the Camp Supply settlement, an innocent young girl is taken as his hostage, with his demand nothing short of all of the Oklahoma Territory. Retired master tracker Jason Cole must now hunt down this evil incarnate—a hunt that soon becomes a violent test of strength, courage, and skill in this epic and unforgettable tale of the untamed American frontier.